A hardscape consists of any combination man made elements such as paved roads, driveways, walls or columns incorporated into landscape architecture. 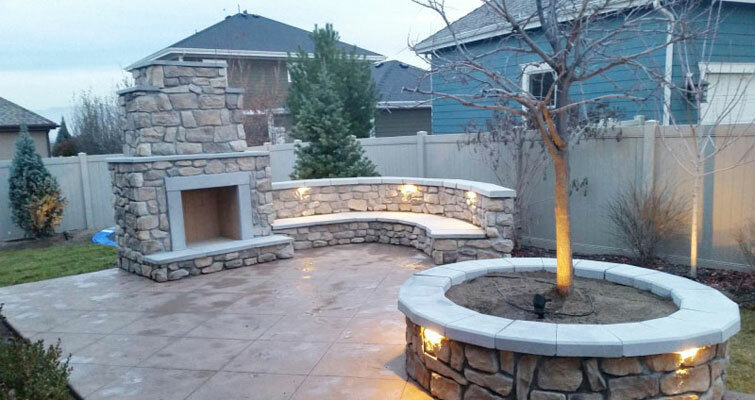 Patios, paths, fountains, outdoorfireplaces or pits, benches, stone stairs, and gabion features are all found in back yard hardscapes. 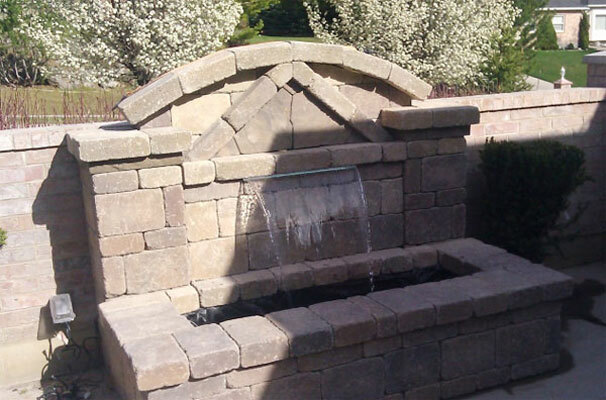 Hardscape materials often include rock, stone, pavers, wood, and boulders. While it does require an investment of time and money to include hardscape areas in your landscape, the benefits deliver a return on investment that is well worth the effort. 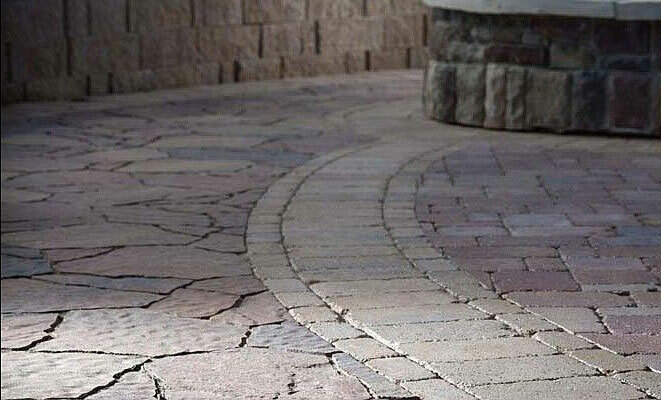 Klik DIY delivers the quality, beauty and durability of Belgard stone, pavers, water and fire features to your project. Once you add in a hardscape, your yard requires very little effort to maintain - no watering, weeding, mowing or pruning is required in that area. It is durable and will last many years. Because a hardscape requires no watering, the amount you save by not watering that area could potentially over its lifetime pay for itself. The time you would have spent pruning, mowing and weeding can now be spent enjoying your outdoor living area. 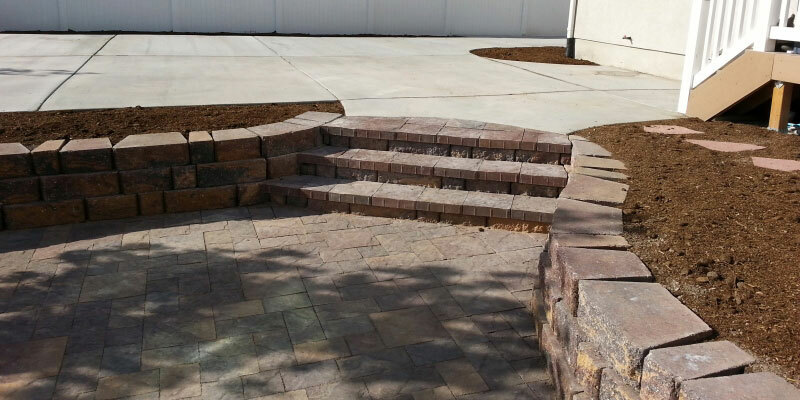 Not only does hardscaping reduce erosion, it also adds interest and dimension. It completely transforms a lackluster rectangle of grass into something extraordinary with varying levels, textures and features. Elements like water features, fireplace, columns and benches create a visually appealing space. In addition, courtyard walls, pergolas, fences and stone boundary lines all add privacy from nearby neighbors. The primary goal in creating an outdoor living space is to create a place that invites you to spend time outdoors while you entertain friends, enjoy a peaceful evening, or time with your family. 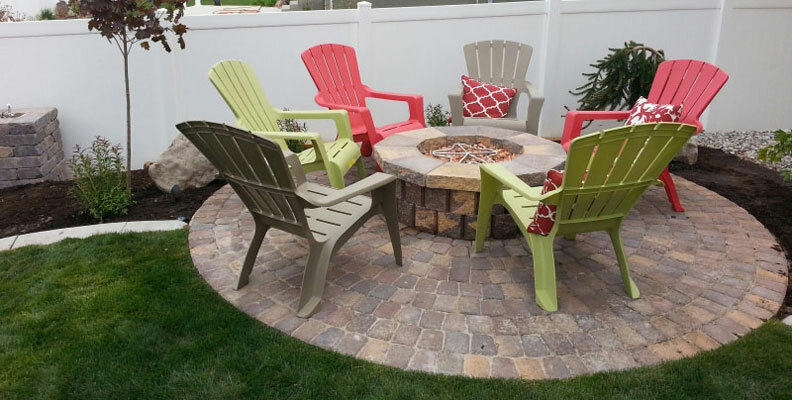 Make your backyard your ultimate destination for relaxation, entertainment and fun!